How do I Disable Track Notifications? 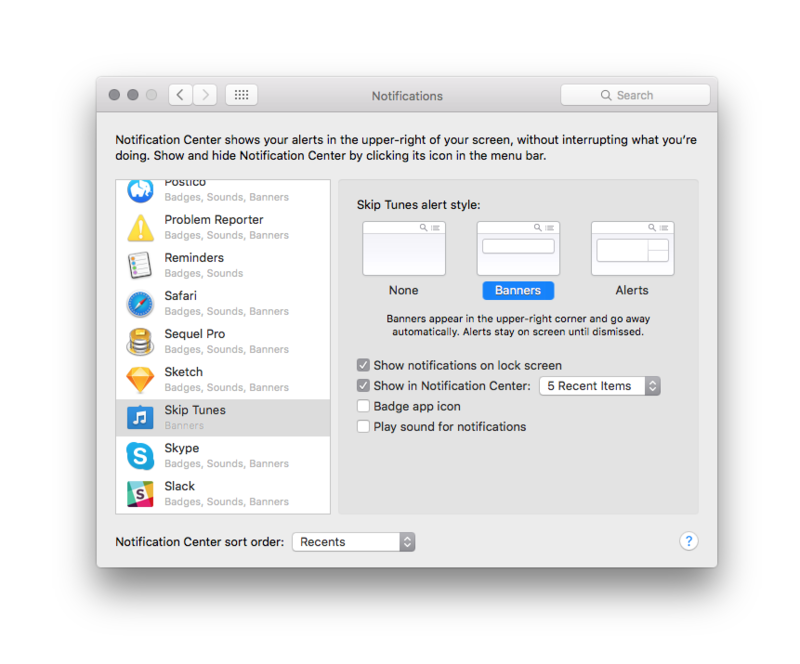 Navigate to Apple menu > System Preferences > Notifications. Click Skip Tunes in the list on the left. Choose “None” on the right side. Or adjust options as you see fit.